The current collection features 205.000 samples, 48 GB in compressed sampled content and 300 drum pieces! This product was formerly named: Drum Singles on March 15, 2017. Featuring a few short videos showing off the interface and main functions and tips/tricks. 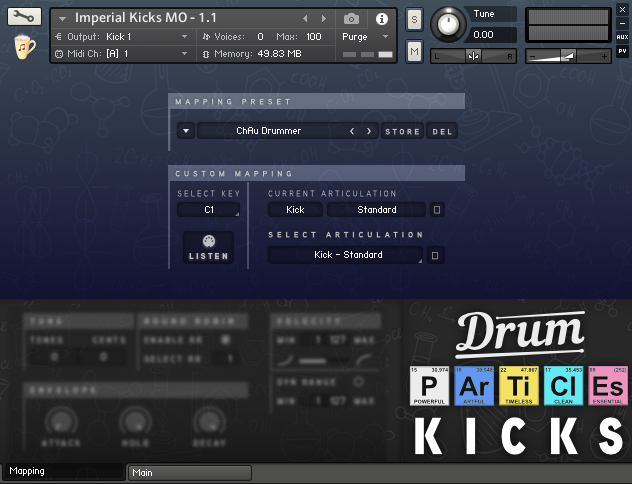 These demos were crafted using the BFD or Kontakt versions of the full Drummer products. They show off the sound rather than what you can do with the engine (which is shown in the videos above). Anything goes: Triggering, Finger-Drumming, eDrumming, Programming, name it! Each cymbal set features a collection of crashes (2 or more), chinas, splashes. Contact us for pricing and custom order setup. - this Instrument may be acquired only in downloadable format, download size is about 48 Gigabytes, so expect longer download times on slower connections!